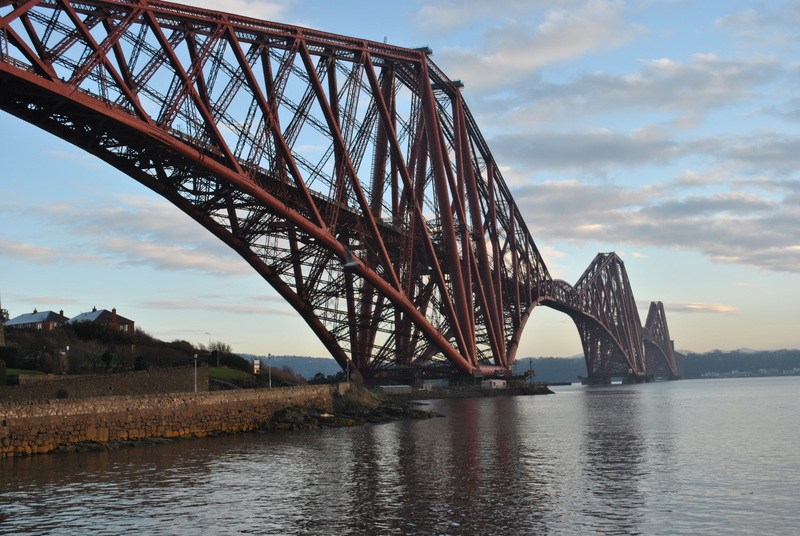 North Queensferry has, as the name suggests, been a town with a ferry connecting South Queensferry with North Queensferry or Edinburgh with Dunfermline, St Andrews and the Kingdom of Fife. The estuary of the Forth has always been difficult to travel but from the earliest days many have done so at a time when Dunfermline was an important Christian venue and visited often by the saintly Queen Margaret. 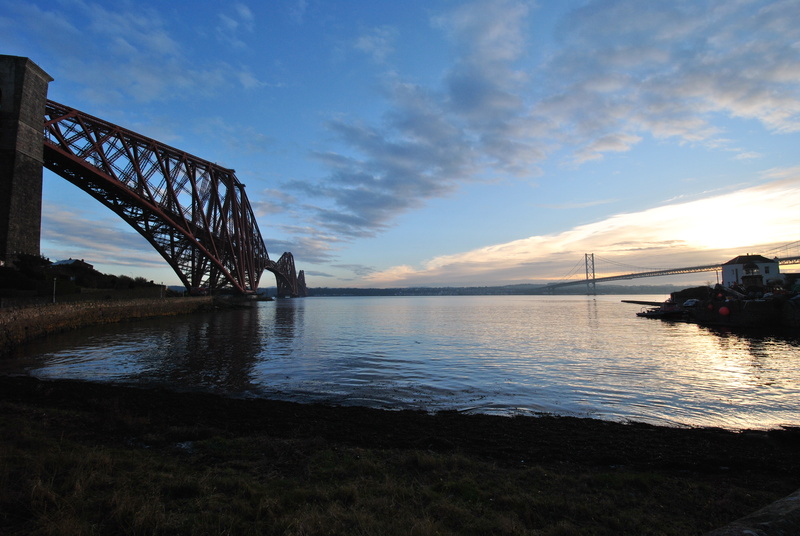 For her travels between Edinburgh and Fife a ferry route was set up and established, connecting the two sides of the Firth of Forth as early as the 11th century. 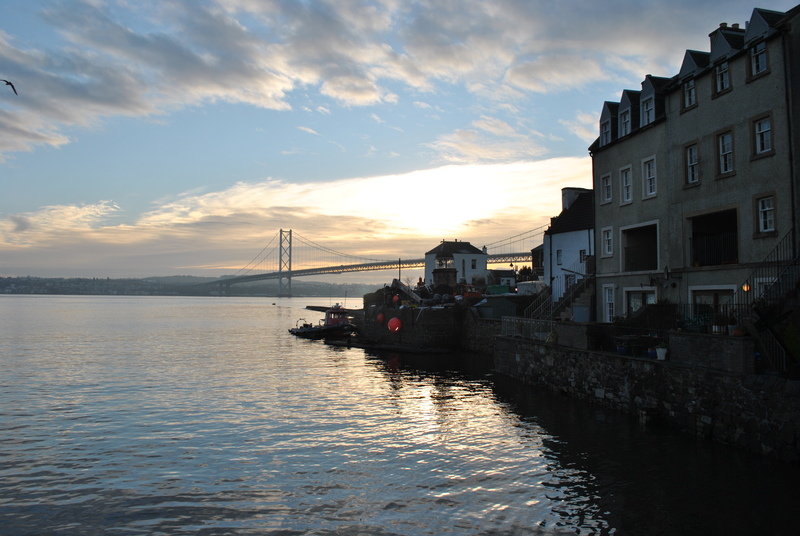 Queensferry – north and south. And the Queen travelled a lot. The ferry was busy for centuries and the rights given by the crown belonged to Dunfermline Abbey, a vital source of income. 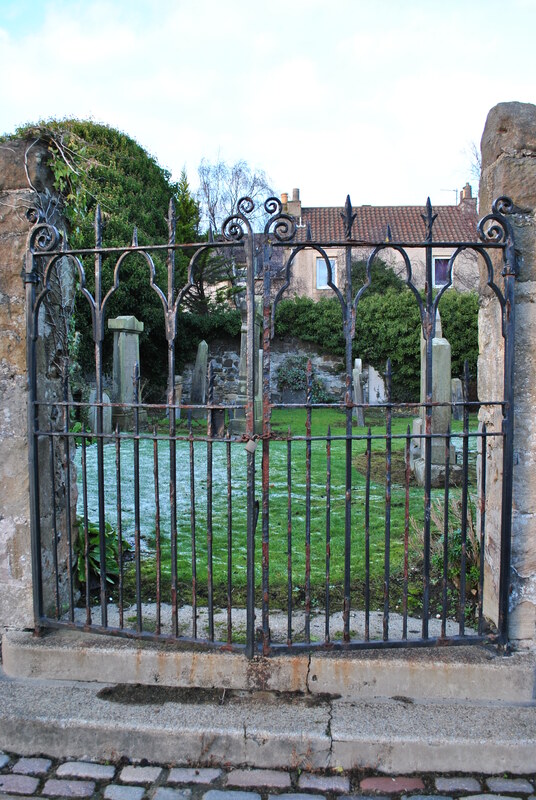 The sailors working the route were allowed to built a graveyard on the site of a medieval chapel dedicated to St James, the first place of worship on the pilgrimage once north of the Forth. In rather crude writing that still exists next to the entrance of the graveyard, the sailors made that known. The chapel had been destroyed by Cromwell troops in the 17th century. The graveyard is still there. 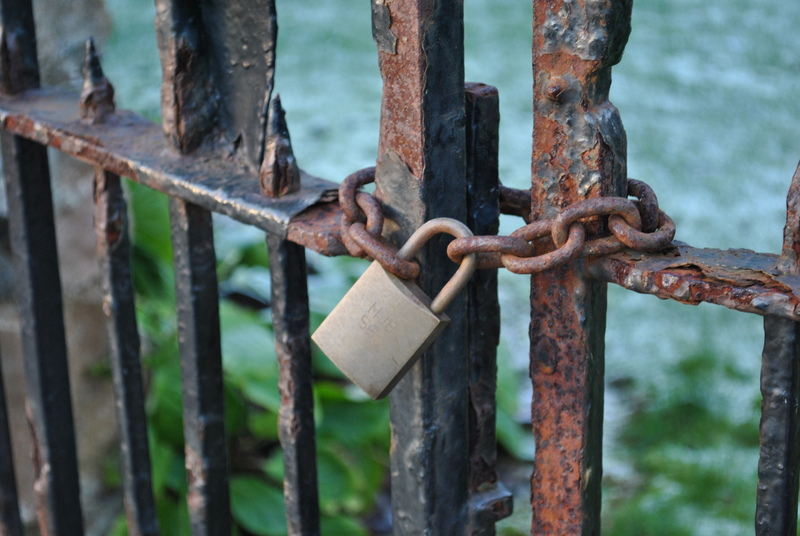 Unfortunately the graveyard is locked and the remains of the former chapel visible in the walls of the graveyard are hidden by ivy and other greenery. 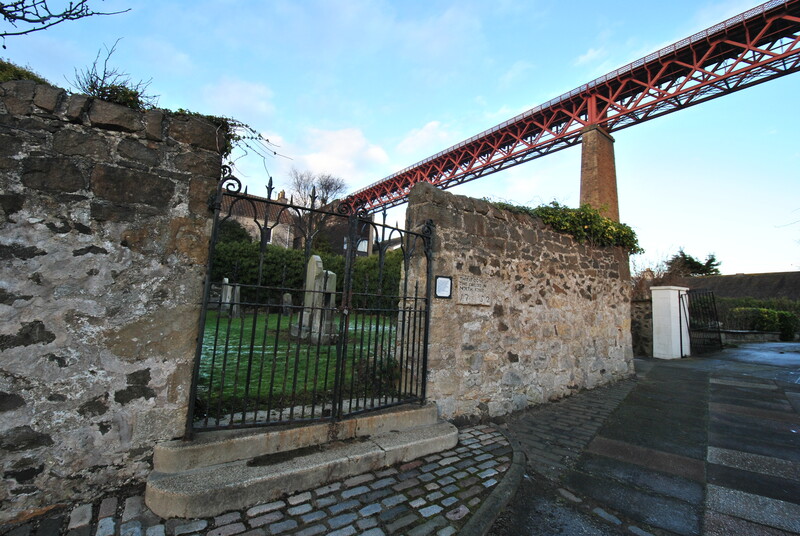 A tiny walled graveyard garden right in the center of North Queensferry, a few meters away from the original pier. The iconic Forth Rail bridge spans the Firth of Forth and runs right above the tiny graveyard, trains rattling along every few minutes. There is not much solitude amongst the houses that surround this inaccessible burial ground. The building of the bridge took more than 70 lives but it made the Queen’s ferry soon redundant. Two more bridges span the Forth now, one for cars, one for public transport. Without a ferry here are no “sailers” left to be buried in the tiny graveyard close to the pier.